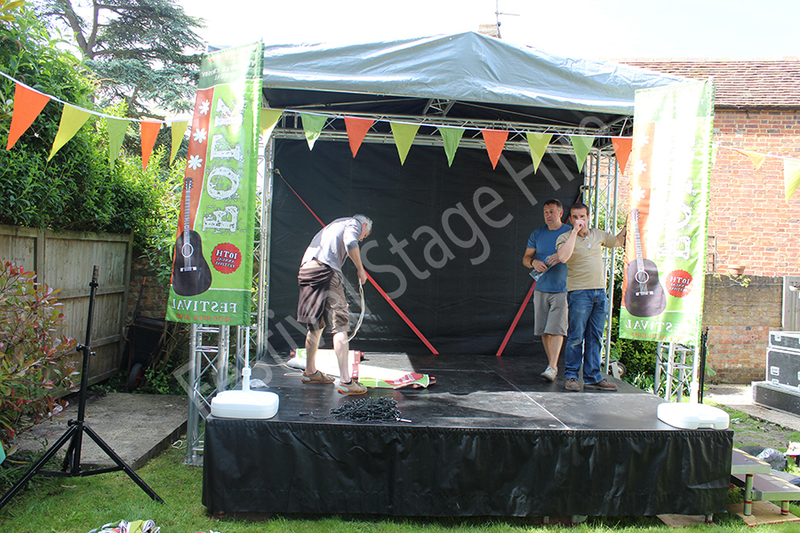 Stage Area: 8ft x 8ft (2.4m x 2.4m). 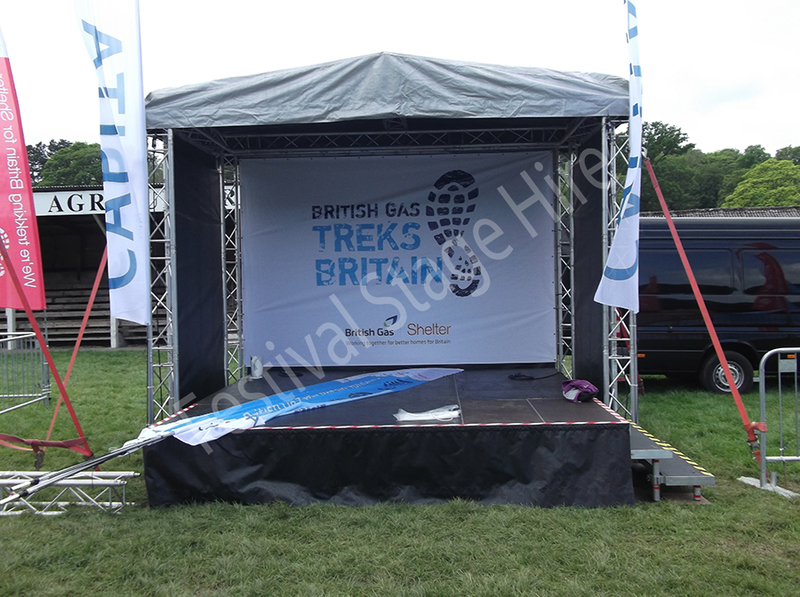 Canopy Size: 11.5ft x 8.2ft (3.5m x 2.5m). 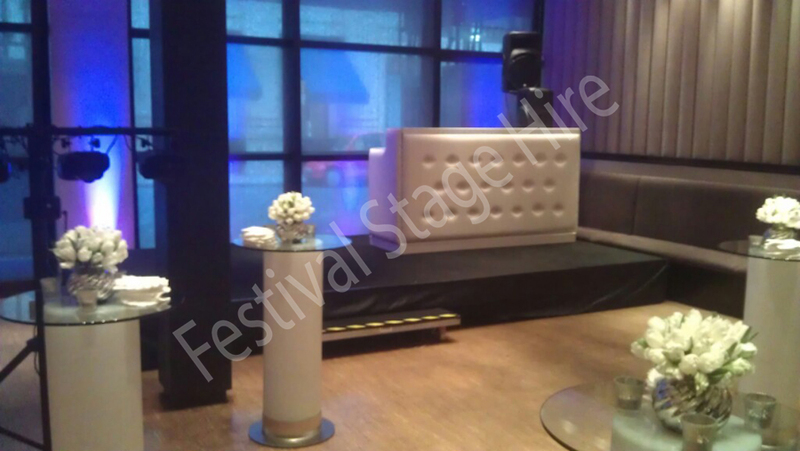 2x Steps, 1x Front Valance, Back wall included. 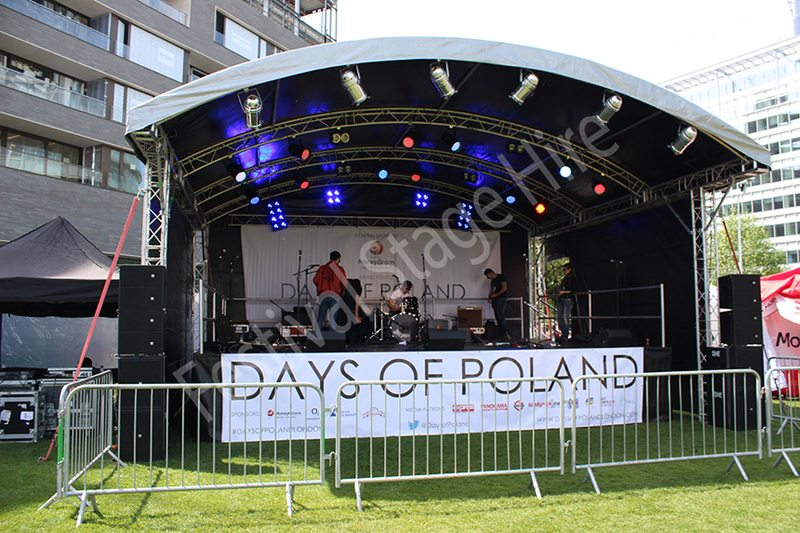 Stage Area: 12ft x 12ft (3.7m x 3.7m). 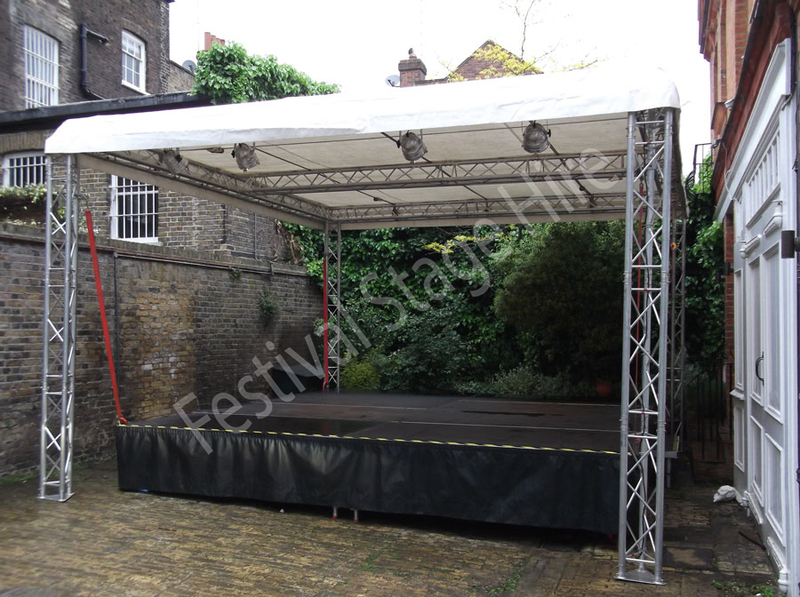 Canopy Size: 14.8ft x 8.5ft (4.5m x 2.5m). 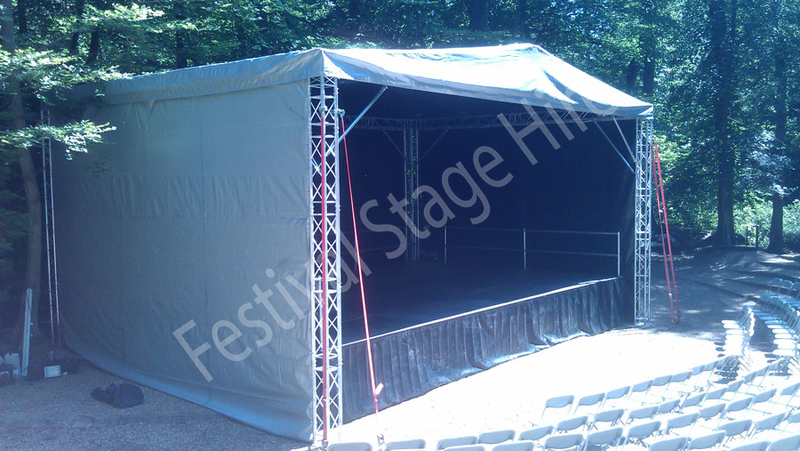 2x Steps, 1x Front Valance, Back & Side walls included. 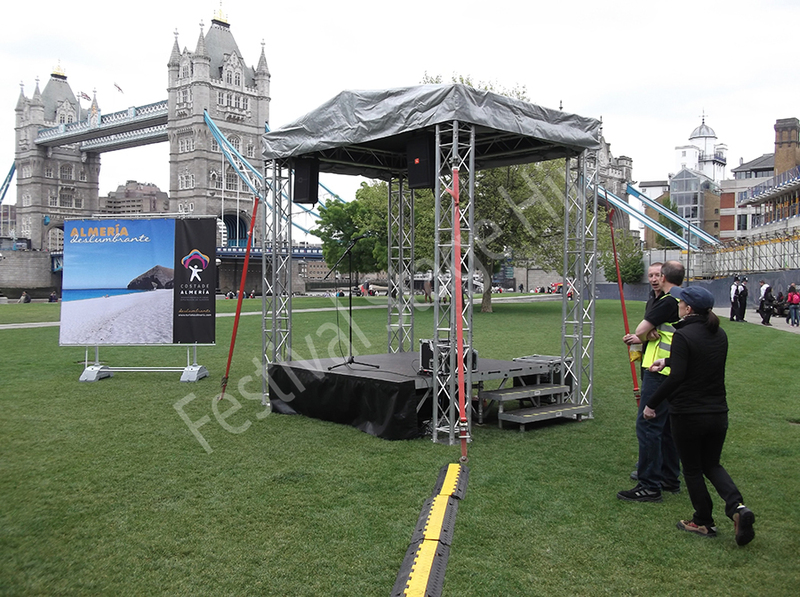 Stage Area: 20ft x 10ft (6.0m x 3.0m). 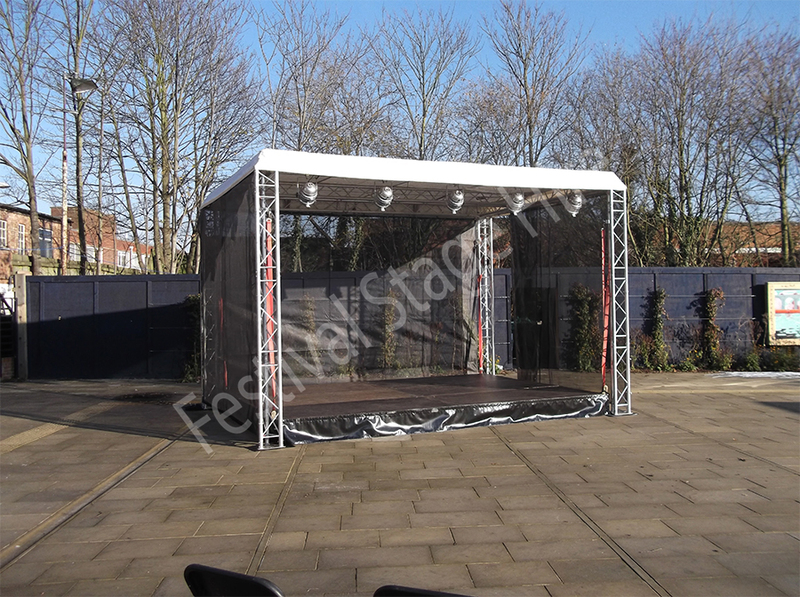 Canopy Size: 22ft x 12ft (6.7m x 3.6m). 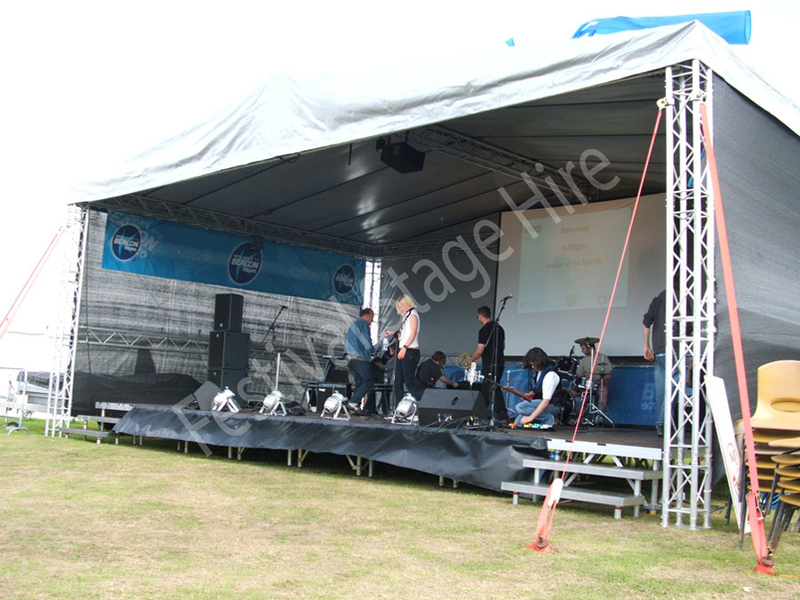 Stage Area: 20ft x 16ft (6.0m x 4.8m). 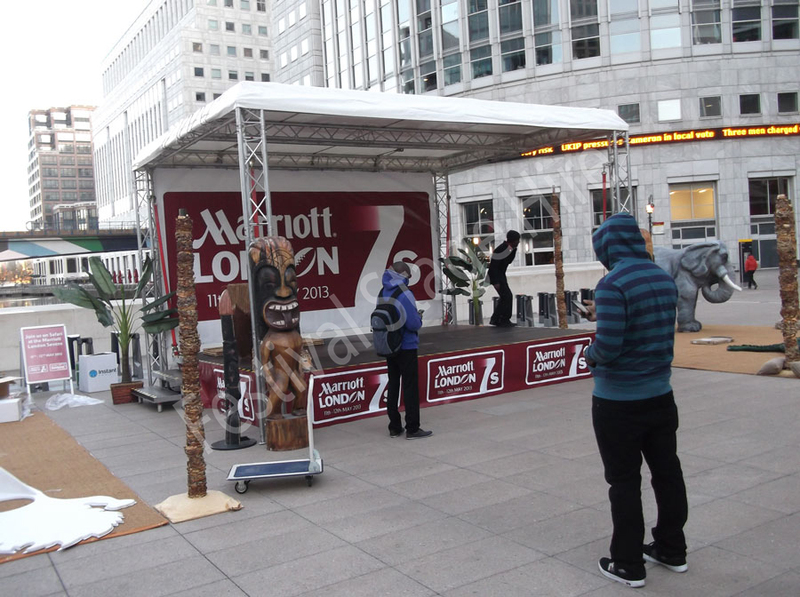 Canopy Size: 22ft x 20ft (6.7m x 6.0m). 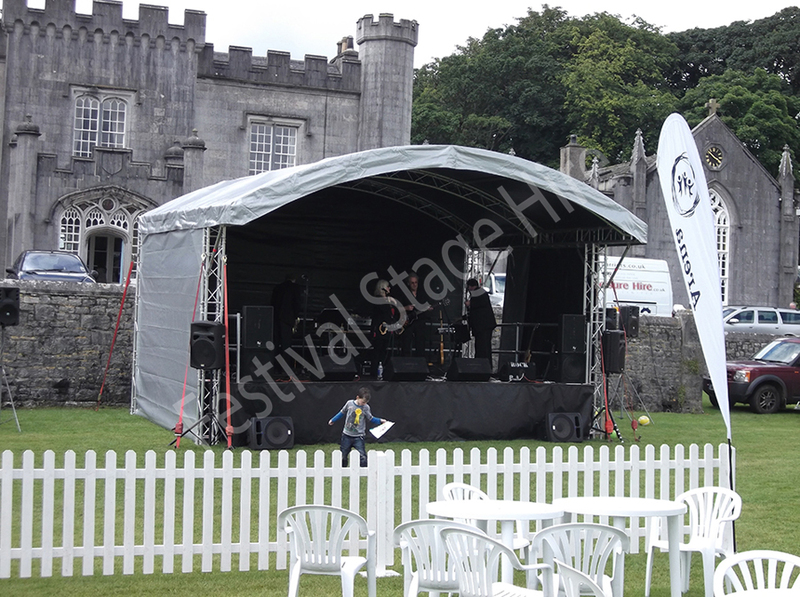 2x Steps, 1x Front Valance, Back and Side walls included. 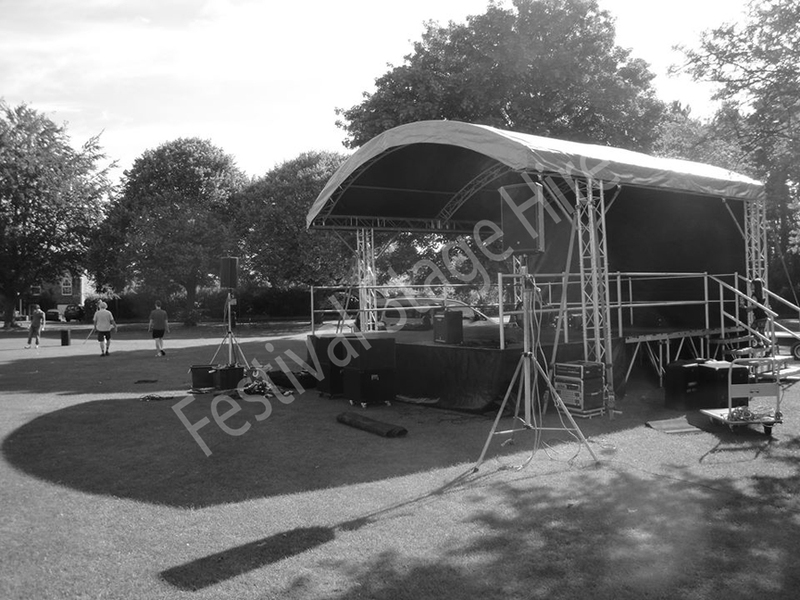 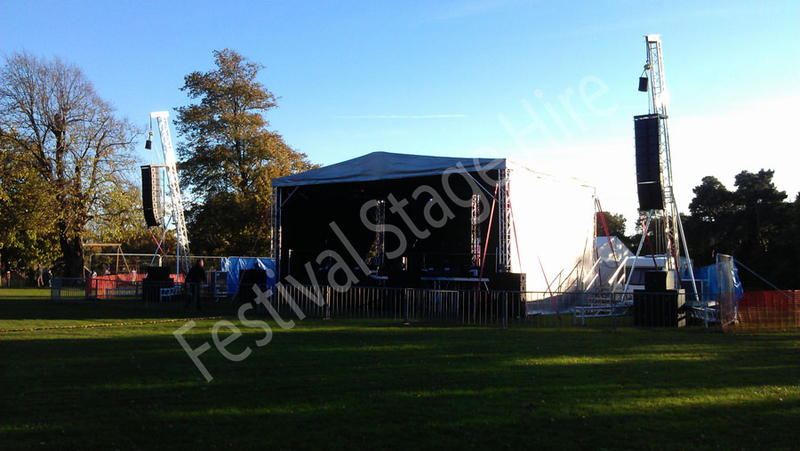 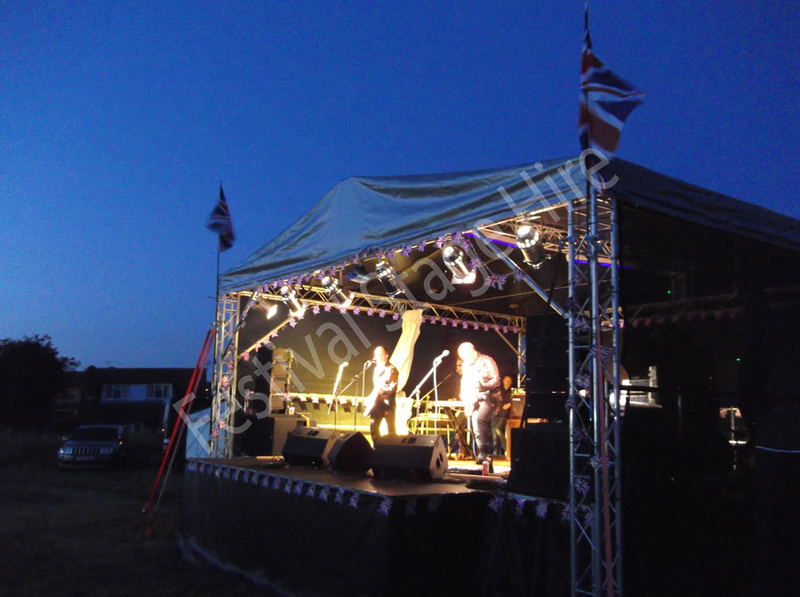 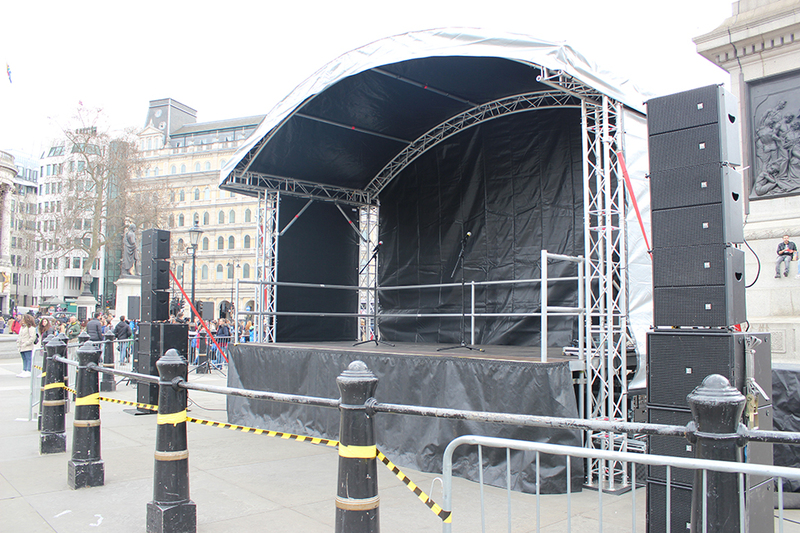 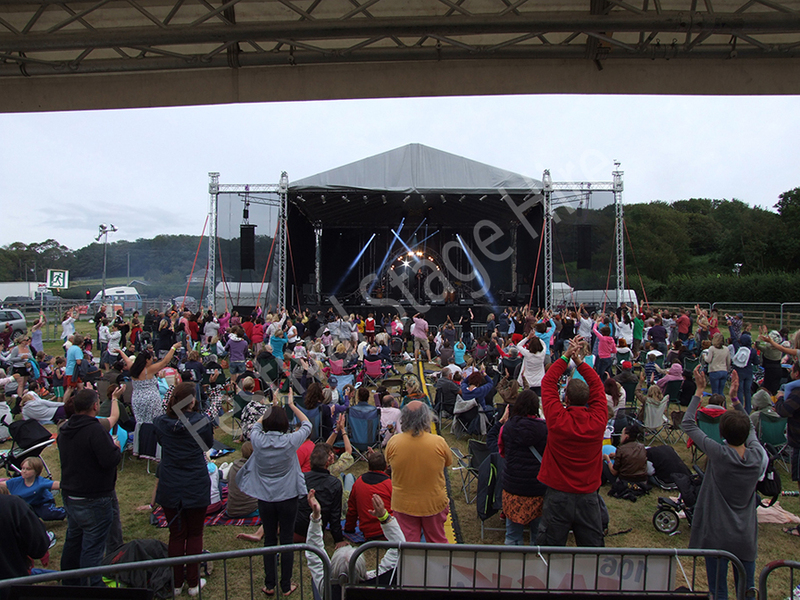 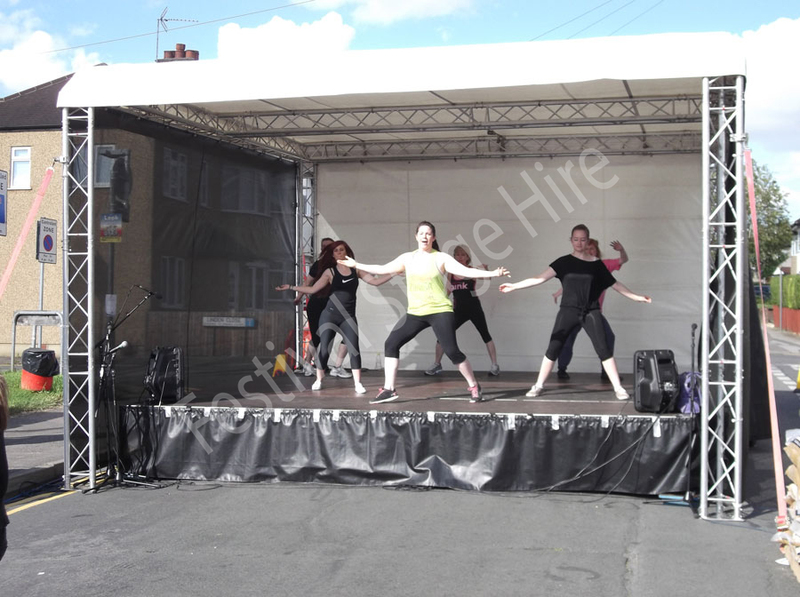 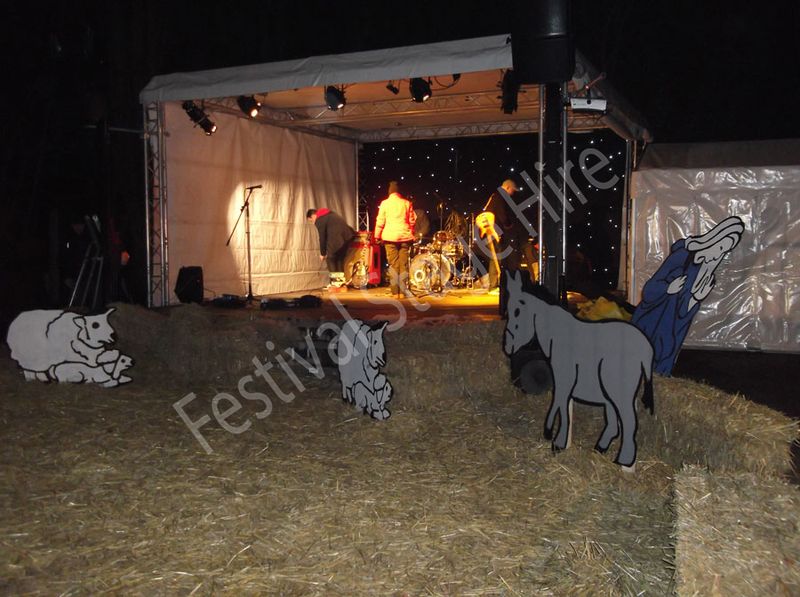 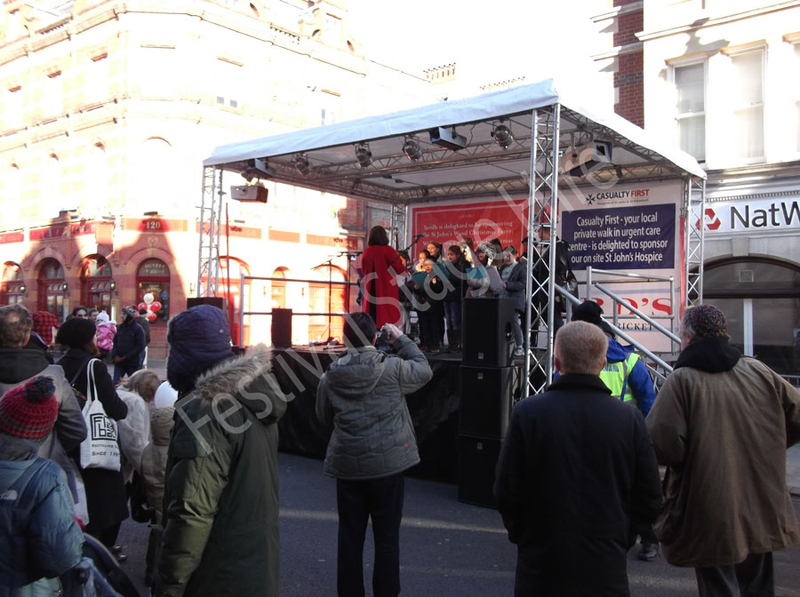 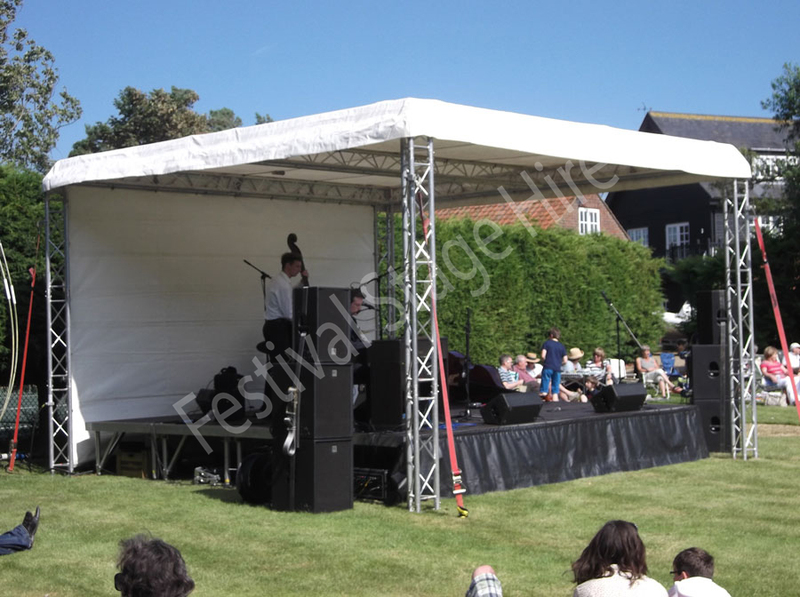 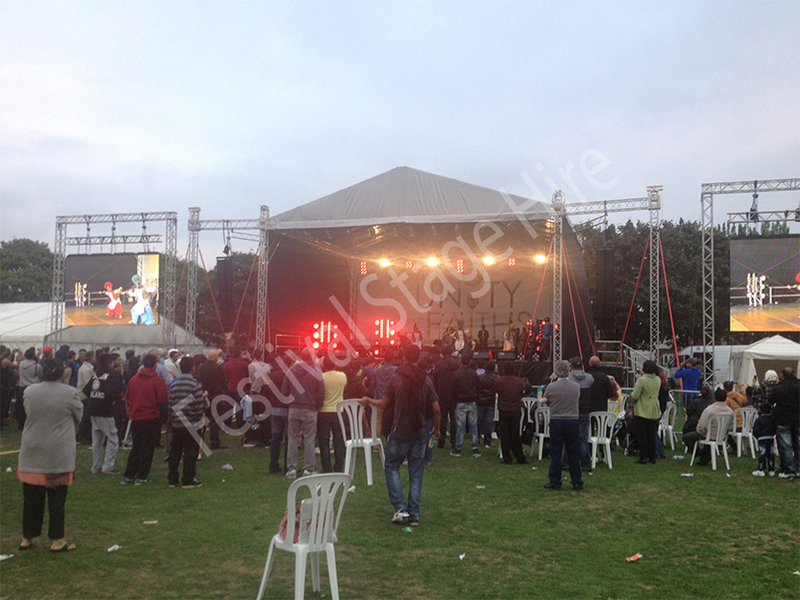 Stage Hire Area: 24ft x 20ft (7.3m x 6.0m). 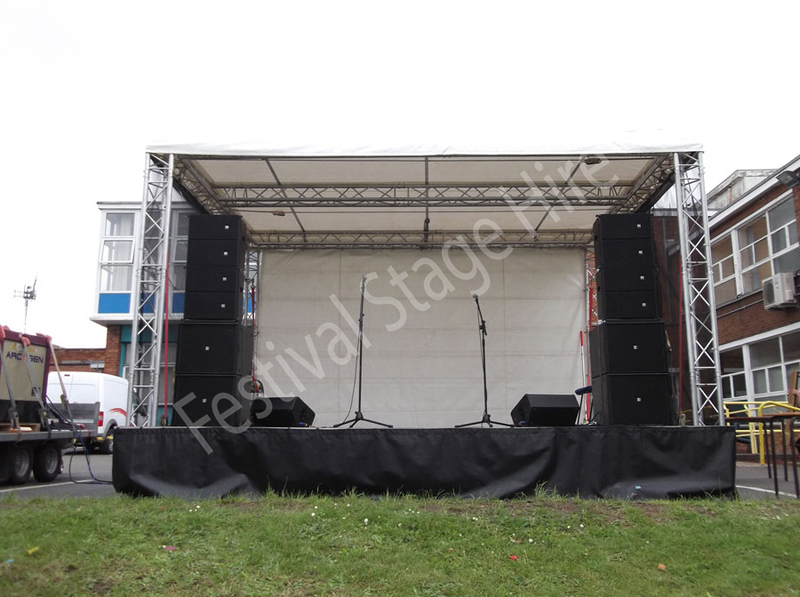 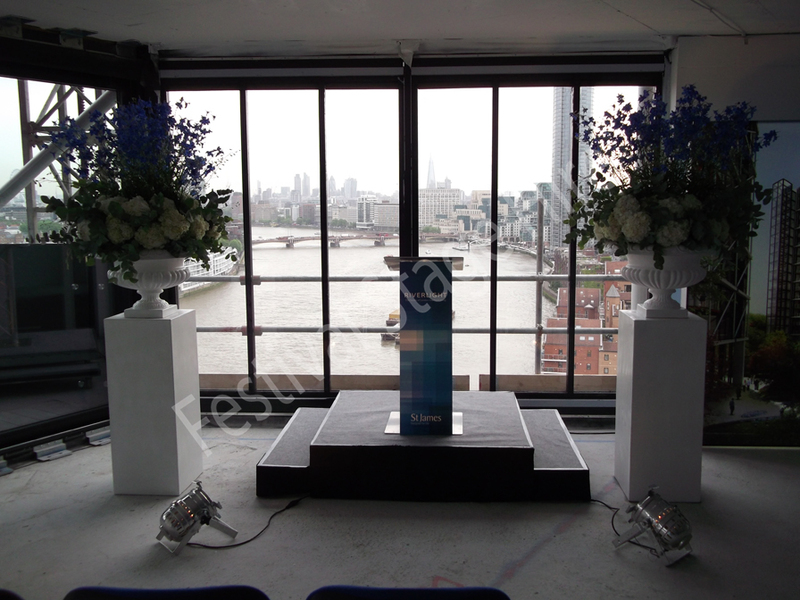 Stage Hire Height: 4ft (1.2m). 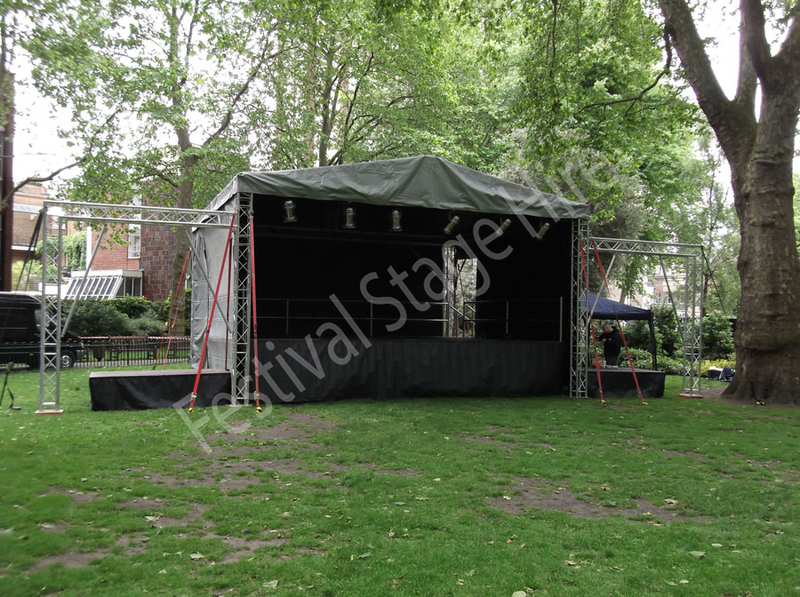 Canopy size: 29ft x 24ft (9.0m x 7.4m). 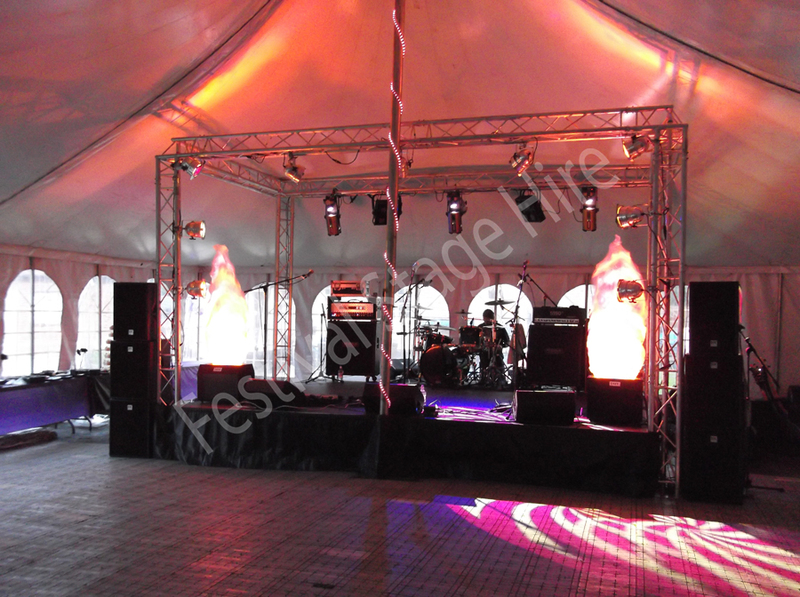 5x Steps, 1x Front Valence, Back & Side walls included. 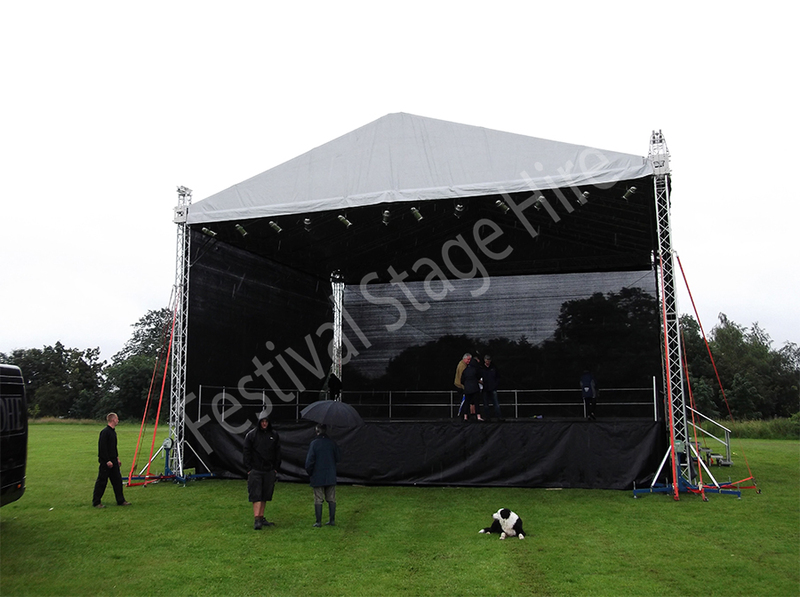 Stage Area: 16ft x 12ft (4.8m x 3.6m). 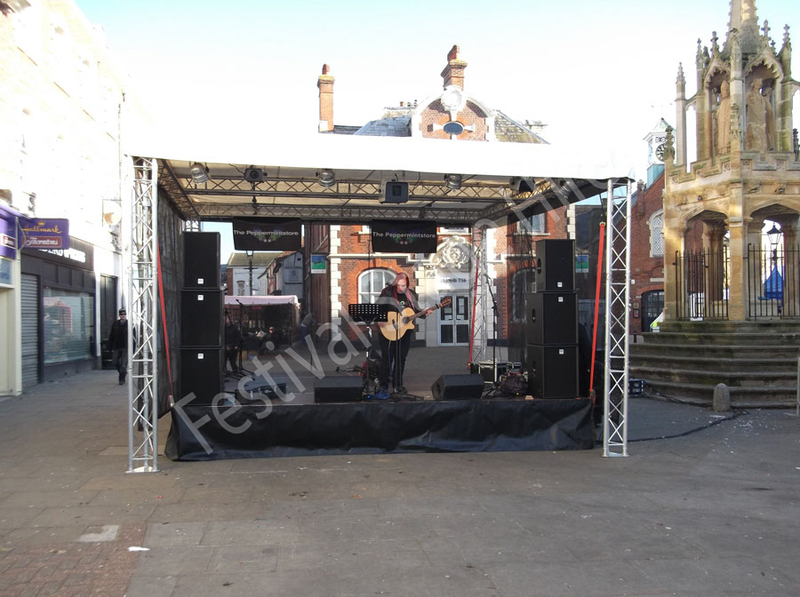 Canopy size: 18ft x 14ft (5.5m x 4.2m). 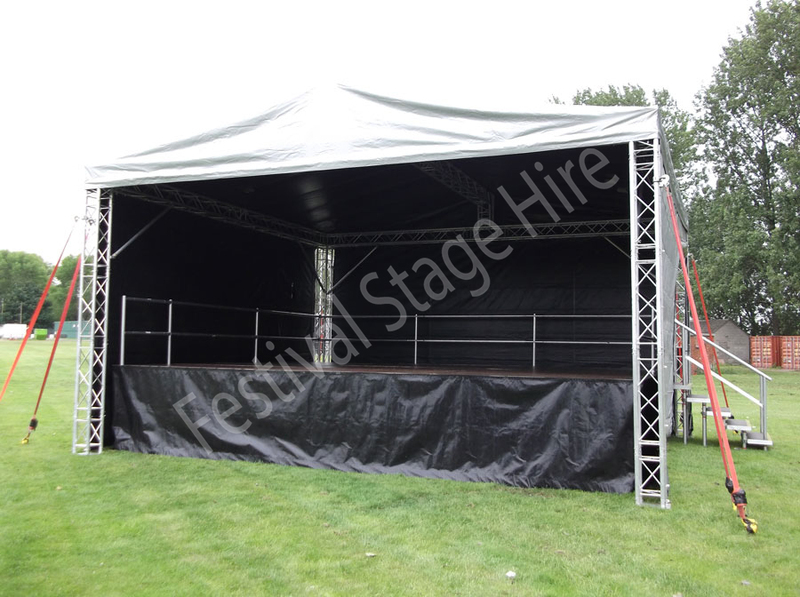 2x Steps, 1x Front Valence, Back & Side walls included. 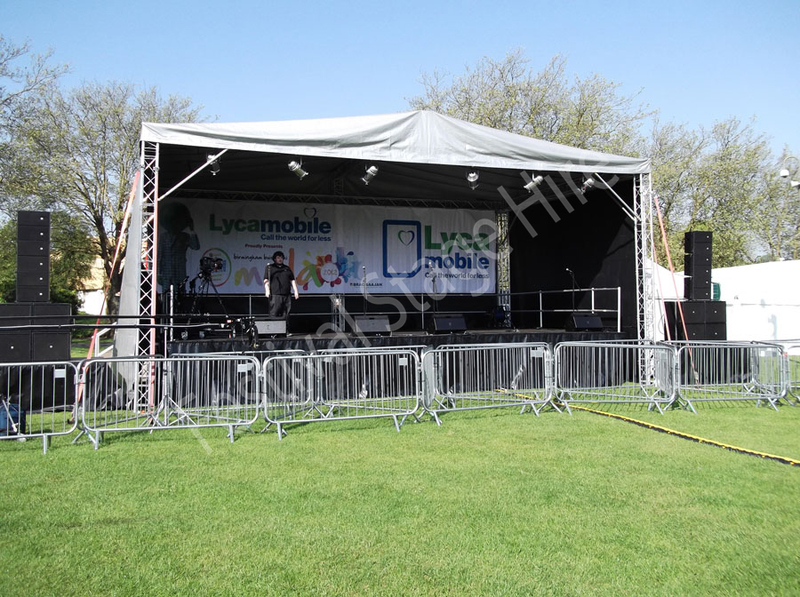 Stage Area: 16ft x 16ft (4.8m x 4.8m). 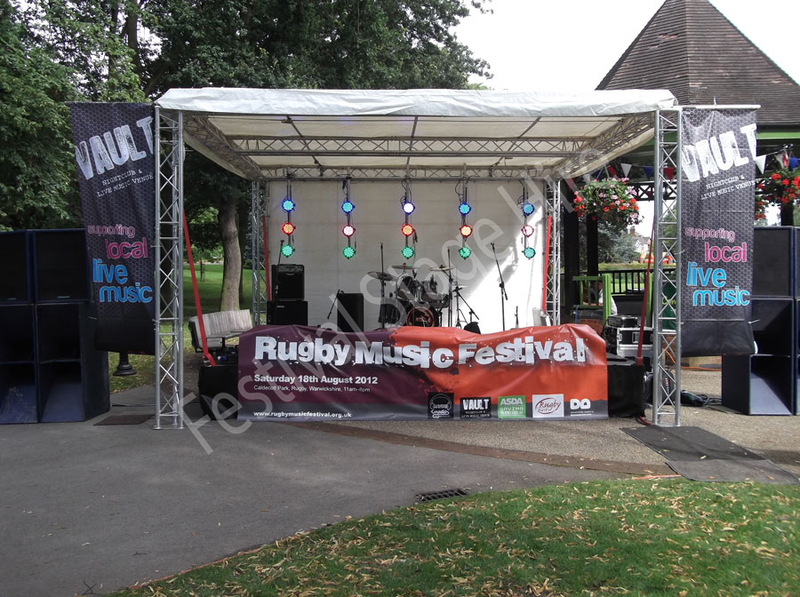 Canopy size: 18ft x 19ft (5.5m x 5.7m). 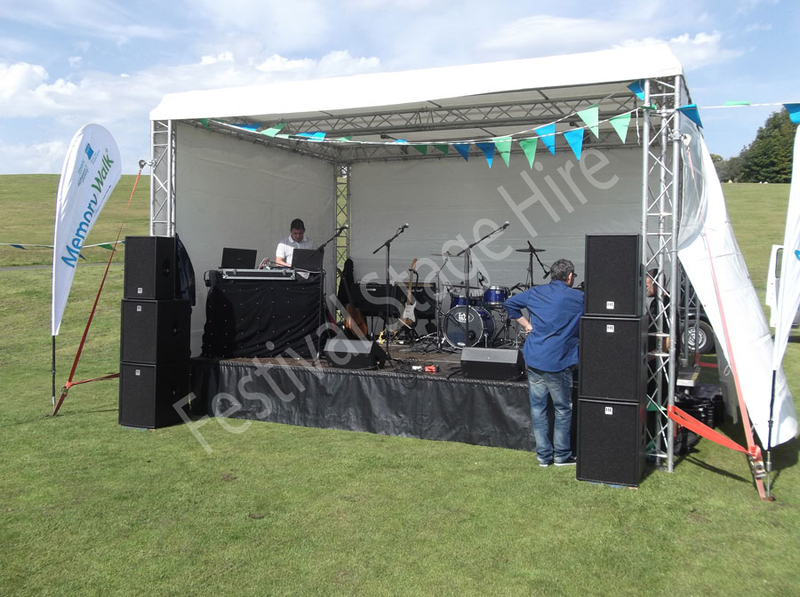 2x Steps, 1x Front Valence, Back and Side walls included. 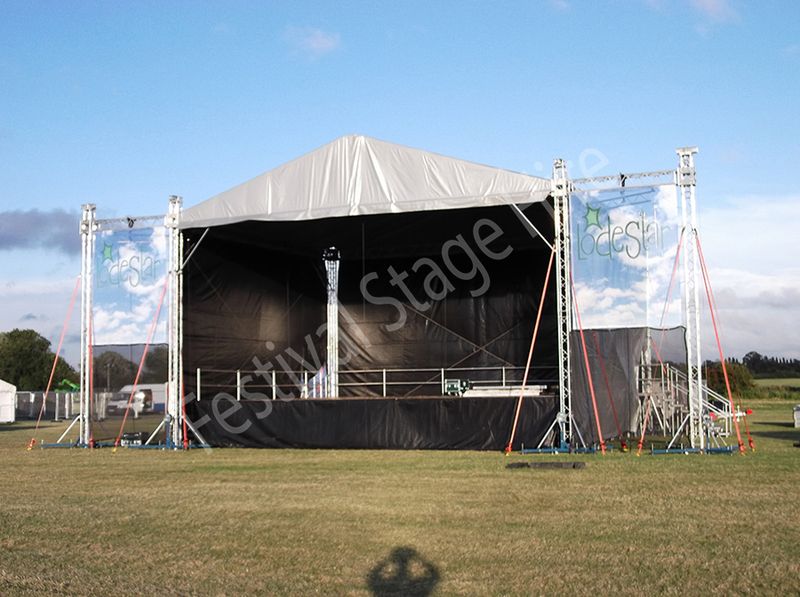 Stage Area: 24ft x 20ft (7.3m x 6.0m). 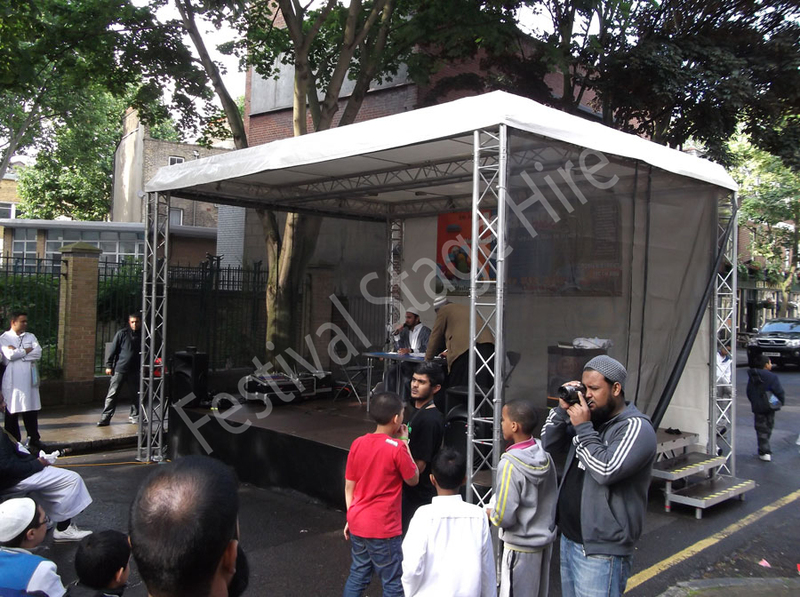 Canopy Size: 25ft x 22ft (7.7m x 7.0m). 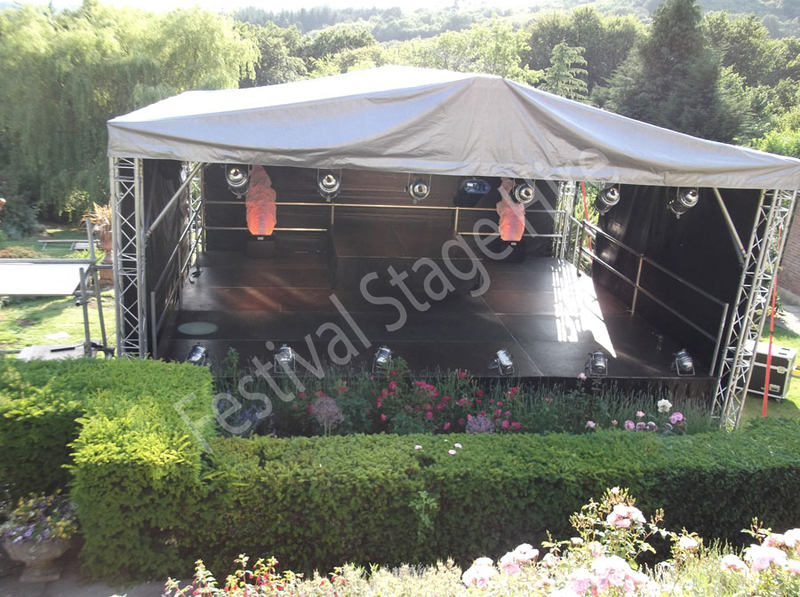 5x Steps, 1x Front Valance, Back and Side walls included. 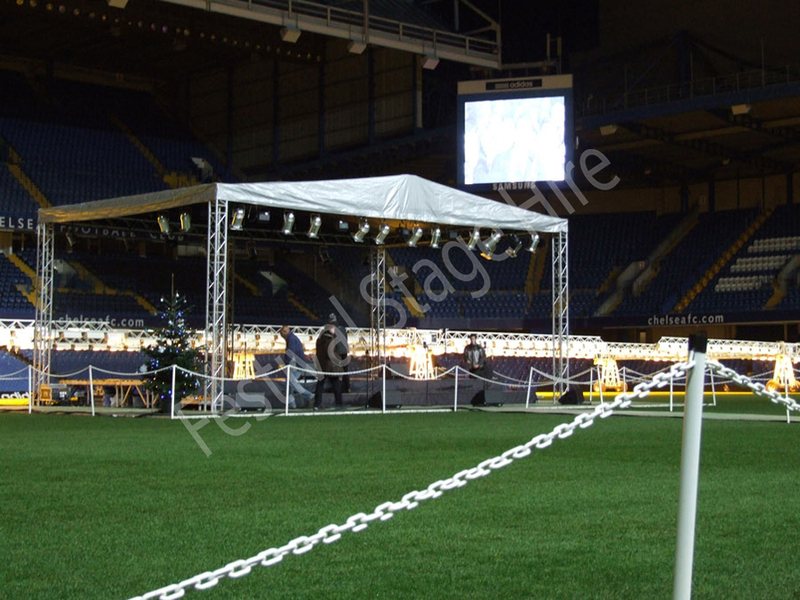 Stage Area: 32ft x 20ft (9.8m x 6.1m). 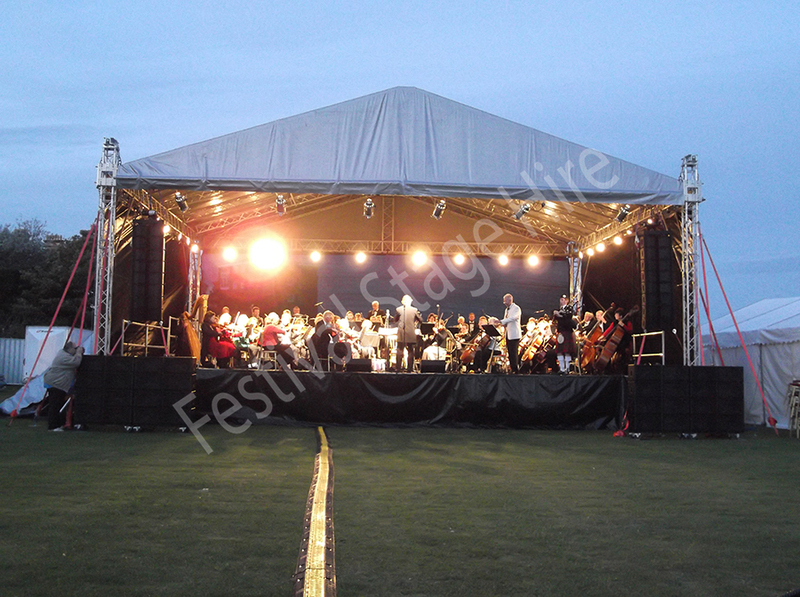 Canopy Size: 35ft x 23ft (10.7m x 7.0m). 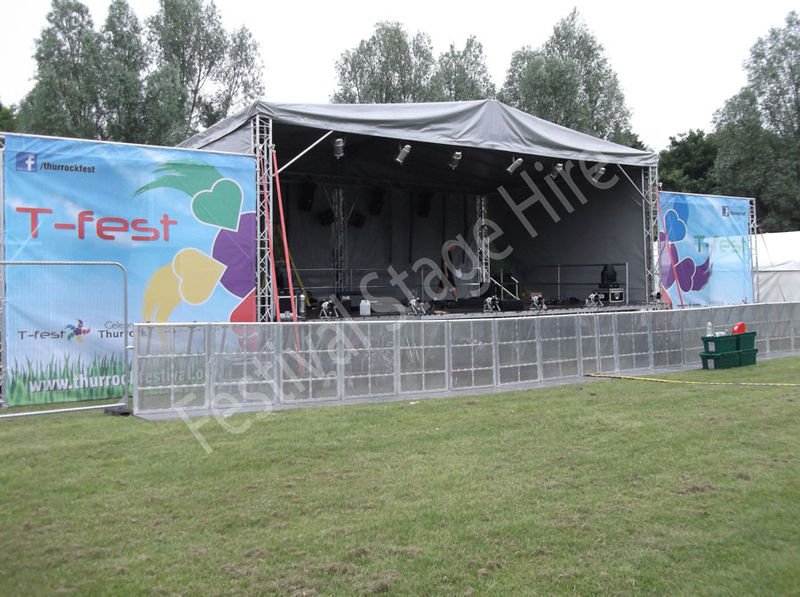 Stage Area: 40ft x 30ft (12.1m x 9.7m). 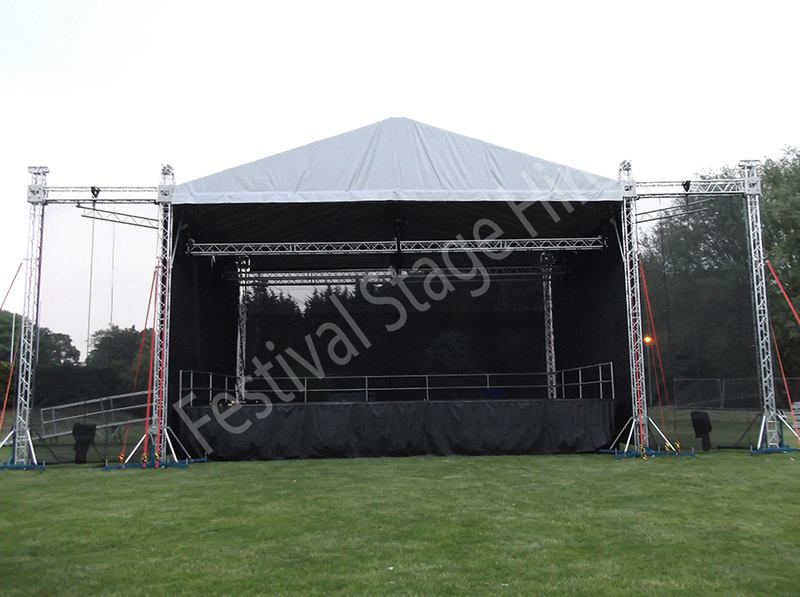 Canopy Size: 46ft x 38ft (14.0m x 11.5m). 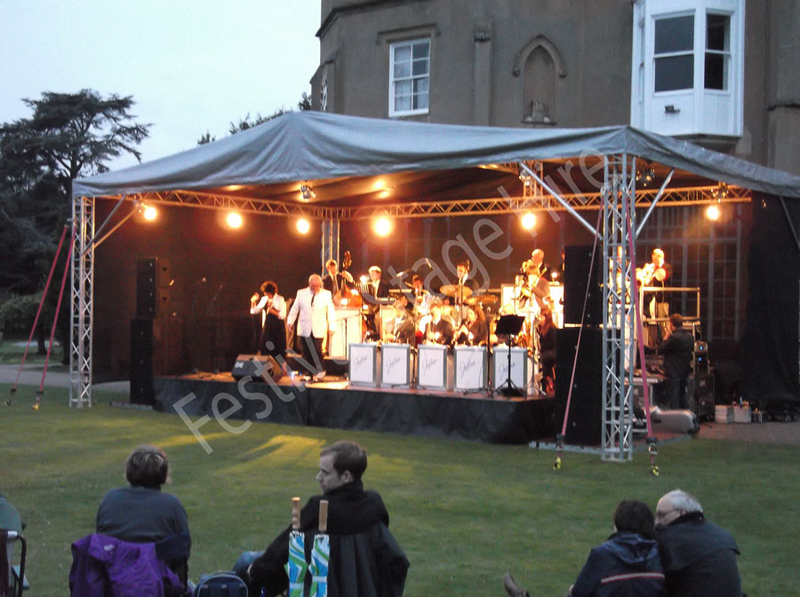 Canopy Size with wings: 65ft x 38ft (19.8m x 11.5m). 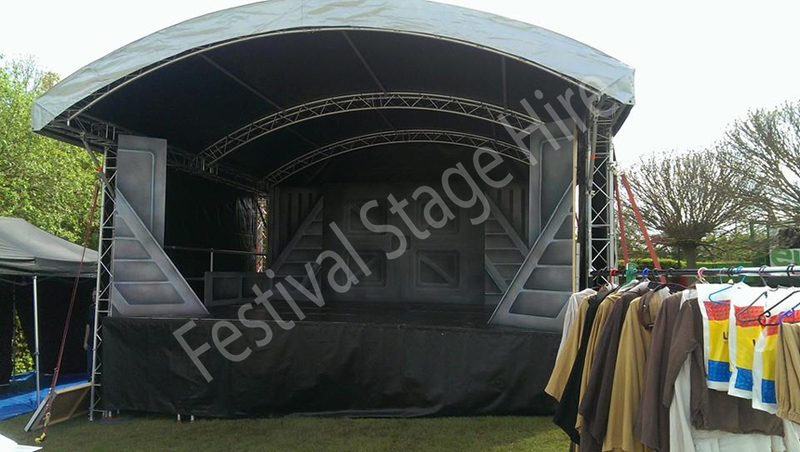 8x Steps, 1x Front Valance, Back and Side walls included.